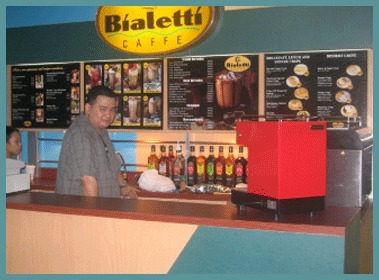 Barista trainee sets-up own coffee shop. A hobbyist perfecting his extraction. 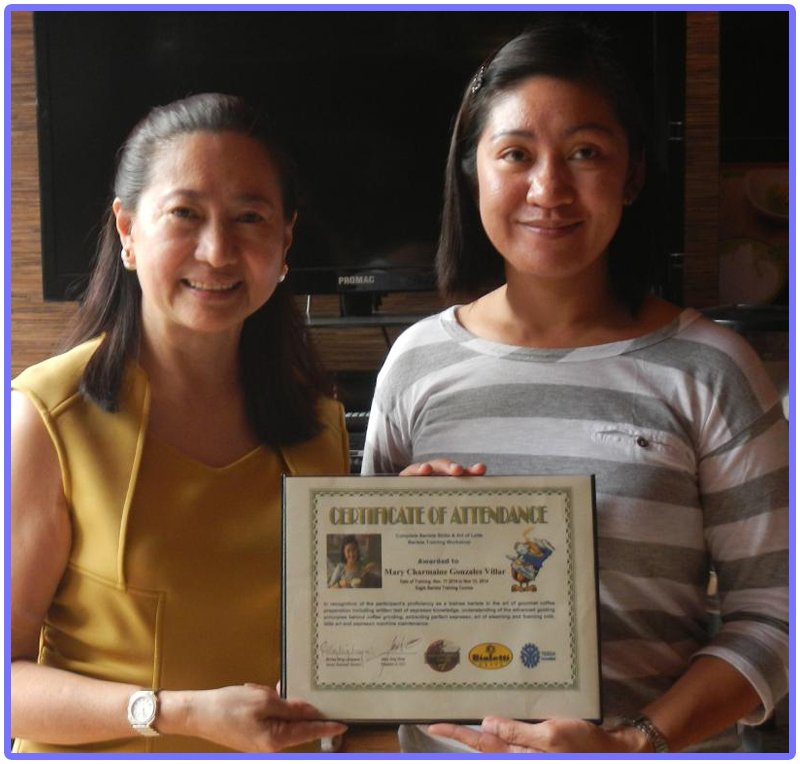 An OFW coffee enthusiasts trained and gained knowledge for coffee shop operation. Barista finished work -- "masterpiece". Give me a " W ", give me an " F ", give me a " B ", give me an " I ", give me WFBI...shake it! Let's start with the basics ! 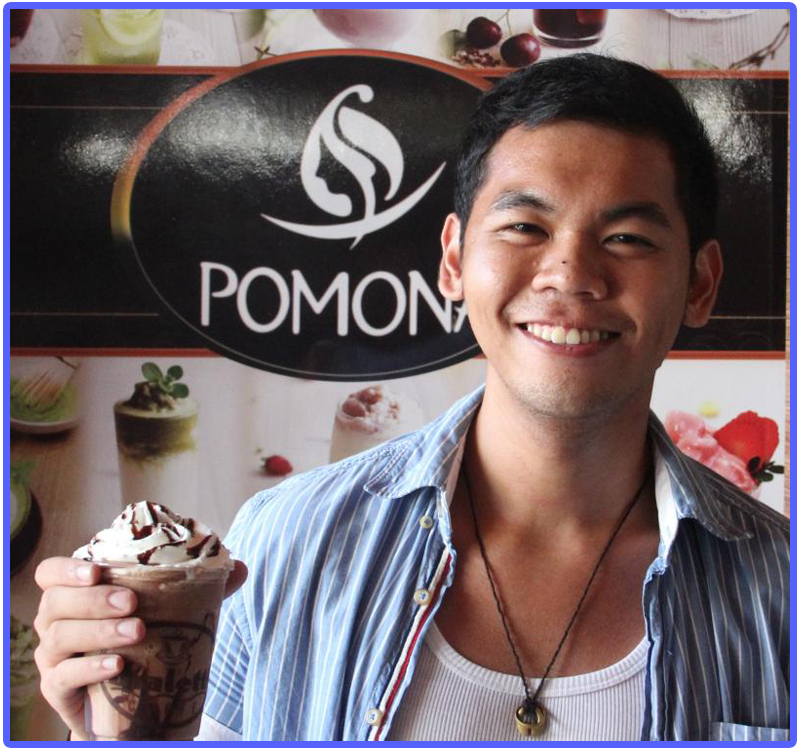 The information, guidance and advice below will help you successfully complete your "Pomona syrup, sauce, smoothie and powder" creative recipes and cocktails. Choose freshly roasted Espresso beans. Use the correct grind and wait until just before making your espresso to grind the beans. Use the right water temperature ideally 194ºF (90° C) at 9 bar atmospheric pressure. Count the right extraction time. This time should be around 25 seconds. 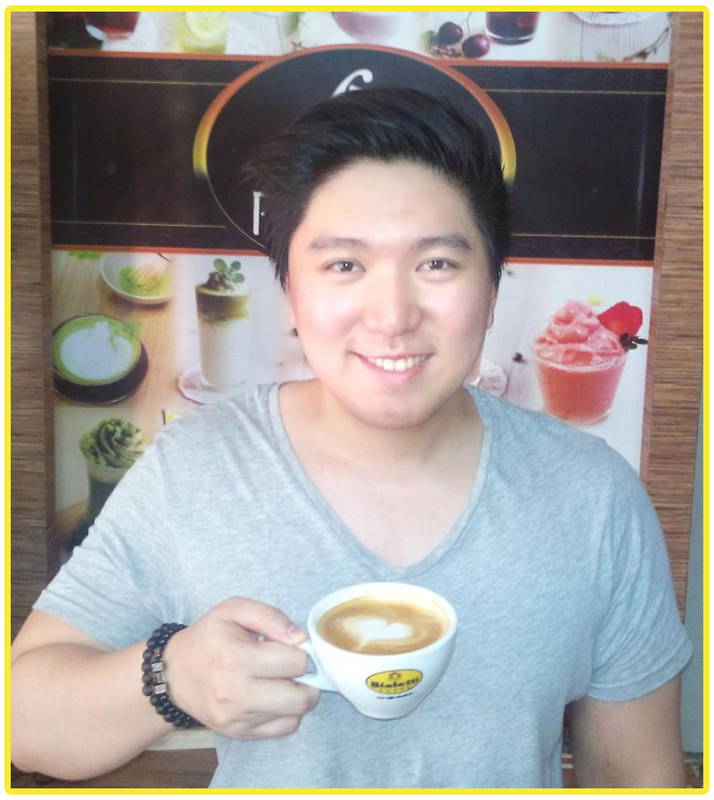 After making an Espresso, if a creamy golden froth appears on top, this means that you have made it correctly. The balance of the cocktail is fragile and must be distributed properly in three essential areas : the aroma, the taste and the after taste. One additional notion is also extremely important : the appearance, in other words, the aspect and the colour of the cocktail. In order to obtain a cocktail, there has to be mixture. Mixture in "Le Remueur". This is the most simple shaker. Ice cubes can be put before or after in the container and ingredients poured after that in the order and quantity prescribed. A spoon is used to stir. Mixture in the shaker. The shaker is the best instrument to make a cocktail. It symbolizes the profession of Barman or Bartender. The shaker associates all the ingredients of a recipe (except for the ice cubes no solids, anything hot or any carbonated drinks). The two essential functions of the Shaker are to cool and to make the cocktail homogeneous. Pomona syrup, sauce, smoothie and powder's price are fantastic. It has high concentration so per portion has more value and is more economical than cheaper brands which require a larger shot. Also, keep in mind that the recipes that follow are just a basis to open your mind for even more creations. Do not hesitate to substitute any other flavours if you feel like it. After all there are wide range of flavors and product line and thesenumber keeps growing. Extremely high quality gourmet syrups, sauces, smoothies and powder. 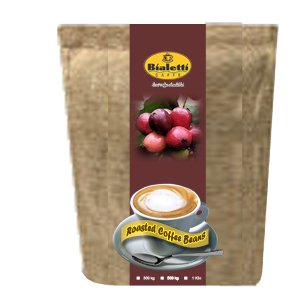 Bialetti Coffee Beans masterly performs the art of an Italian espresso through the continuous quest for perfection. 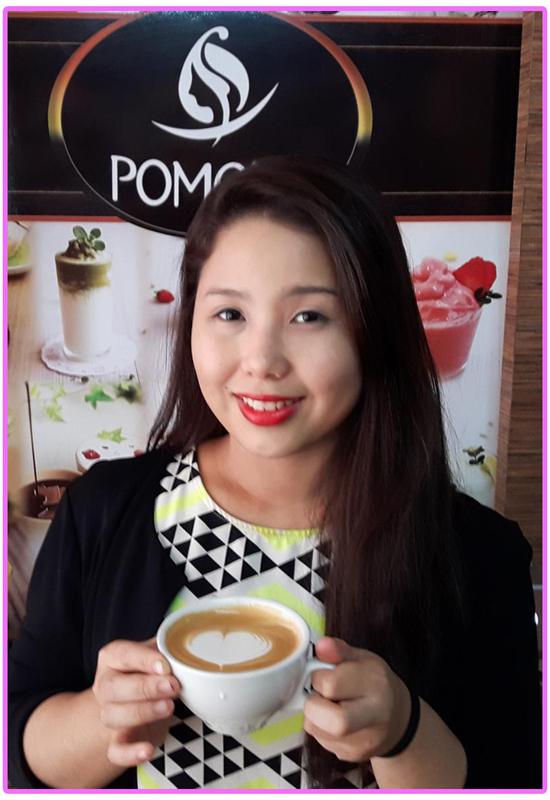 The Highest Standard of Quality in espresso professional coffee machines, grinders, accessories.